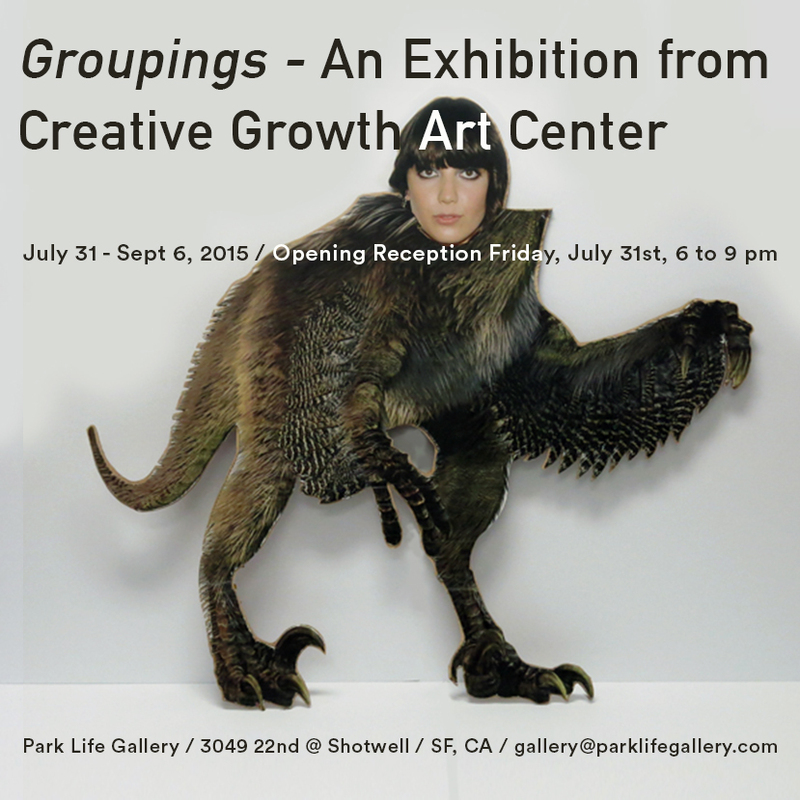 Park Life Gallery is proud to present Groupings, an exhibit of new work from the artists of Creative Growth, Oakland. Opening Reception Friday July 31, 6-9pm. For 40 years, Creative Growth has helped people express something that hadn’t been expressed before. It is more than a place in Oakland. Creative Growth is a feeling and a mindset. It’s a process. And through the personal, joyful and generous process, these people evolve to become artists who create the most illuminating art imaginable.